Lavish Home Bookcase Just $29.14! Down From $60! PLUS FREE Shipping! You are here: Home / Great Deals / Amazon Deals / Lavish Home Bookcase Just $29.14! Down From $60! PLUS FREE Shipping! Head over to Amazon to get this Lavish Home 3-Shelf Bookcase for just $29.14 down from $59.99 PLUS FREE shipping! The Bookcase for Decoration, Home Shelving, and Organization by Lavish Home is a valuable addition to any home. This book shelf is attractive and lightweight, which makes it a suitable accessory to any room in your house. Perfect for bedroom, living room, bathroom, and kitchen shelving! The folding shelves make assembly and storage quick and easy. EASY ASSEMBLY: It takes minimal effort to assemble this bookcase. The unique design allows the shelves to fold out and connect without the use of any tools. Set up takes less than a minute! STYLISH AND FUNCTIONAL: This decorative display shelves are suitable for any room, and match rustic, country, shabby chic, and traditional home decoration themes. 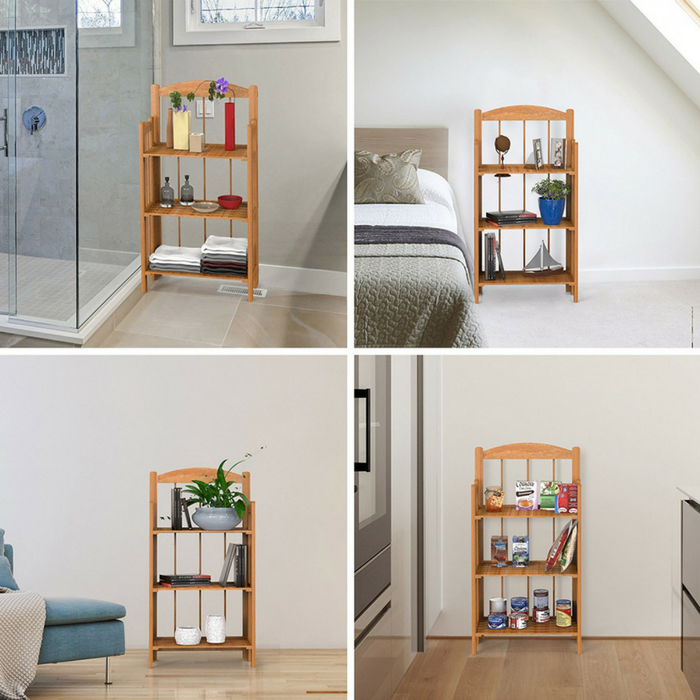 This stylish home shelving unit can be used to hold books, folders, decorations, or plants. PRODUCT DETAILS: Materials: Wood. Dimensions: Overall: 37.75”(H) x 8.83”(W) x 17.25”(L). Sides: 10”(H).